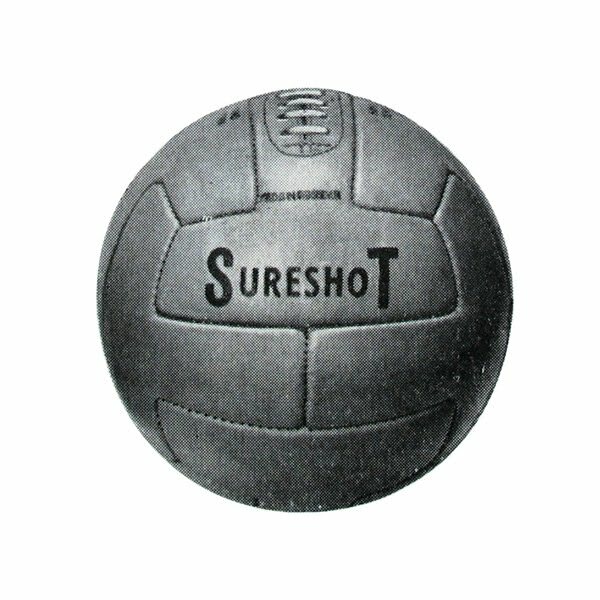 The project started from study of an old English sport brand. Mitre has established at 1817 by Benjamin Crook and till today its leading UK brand in sport equipment. 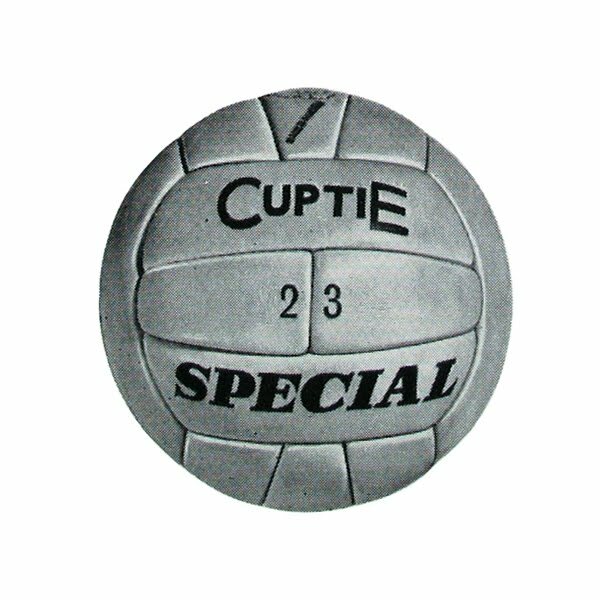 During period of two hundred years this company have many times innovated the world of football, rugby, netball and cricket. 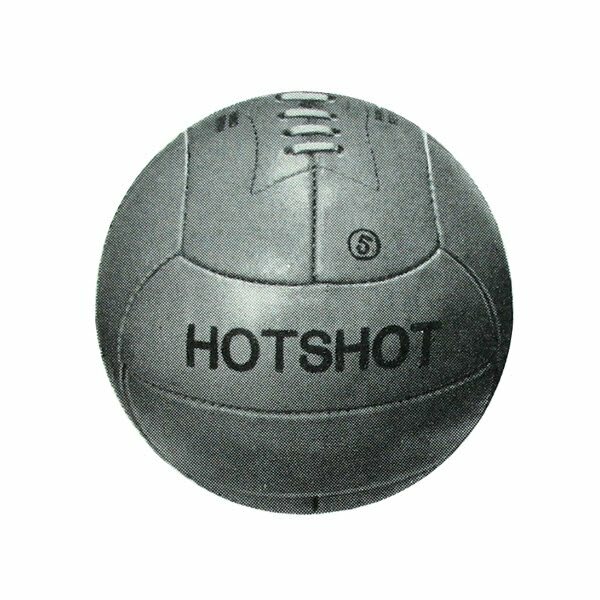 This company with its heritage and strong statement is a serious competitor of Adidas, Umbro, Nike and Puma. I got inspiration of earth theme from this certain image. 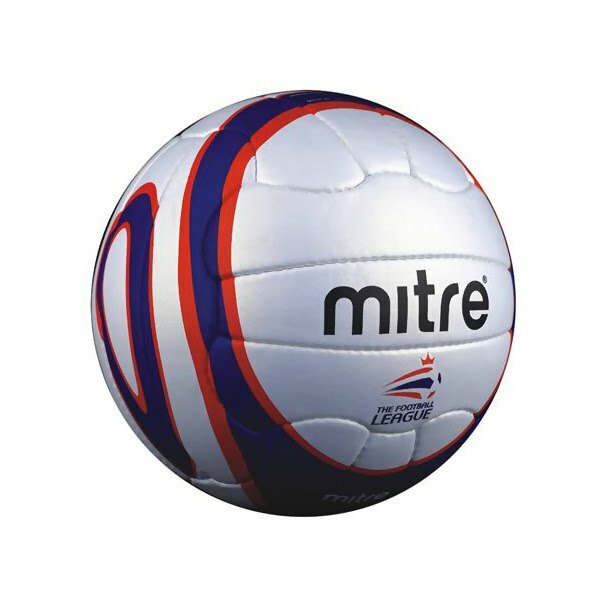 This image shows the Mitre's Delta 1000 official ball of Football League, League Association and the Scottish Football League of UK Cup. 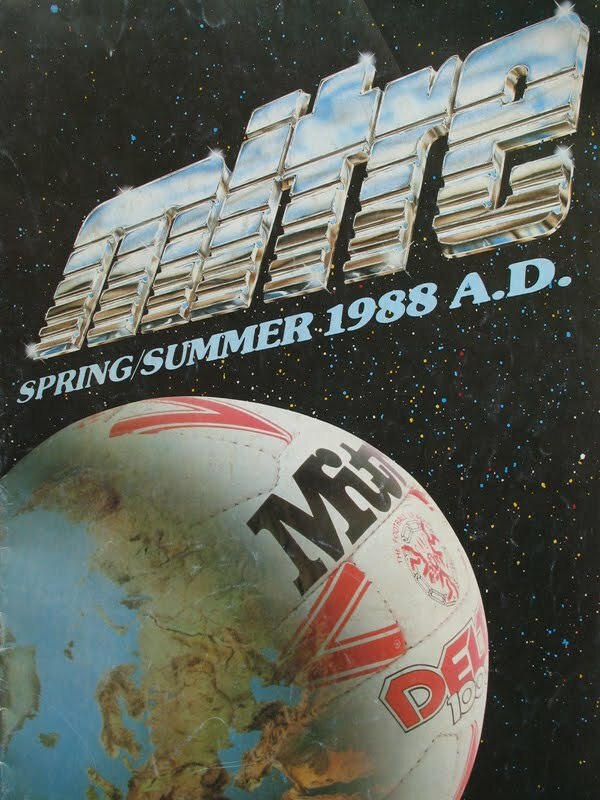 That image connects to element of earth and appear on Mitre Revolve ball as geodesic map graphics. 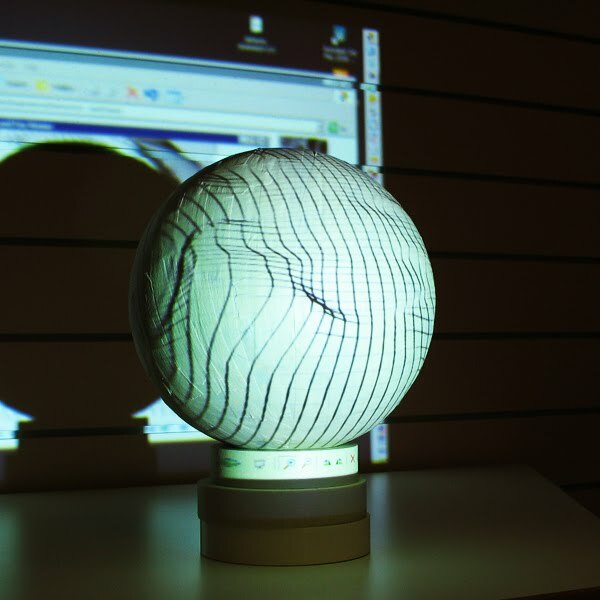 In future Tensile design planned replace the glorious Revo. 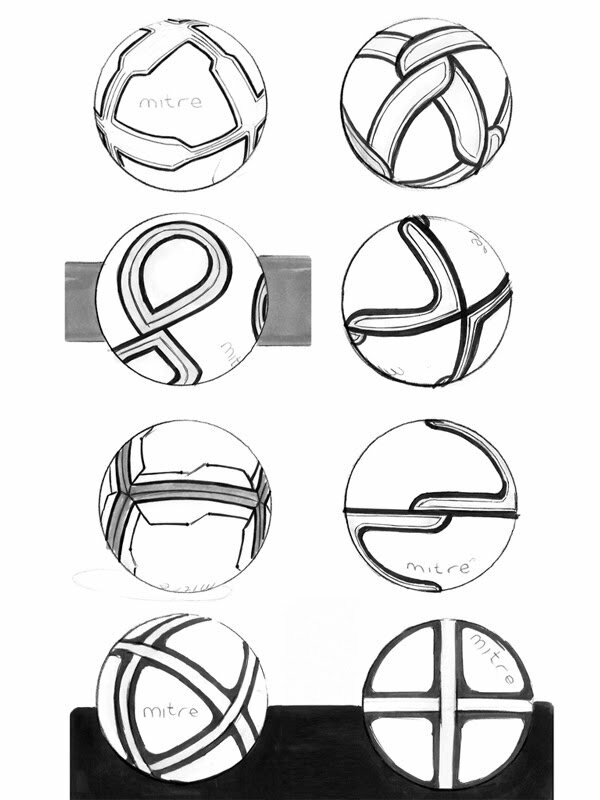 To get discrepant design i have created many, many sketches. It was only way to get special, unique and memorable look. 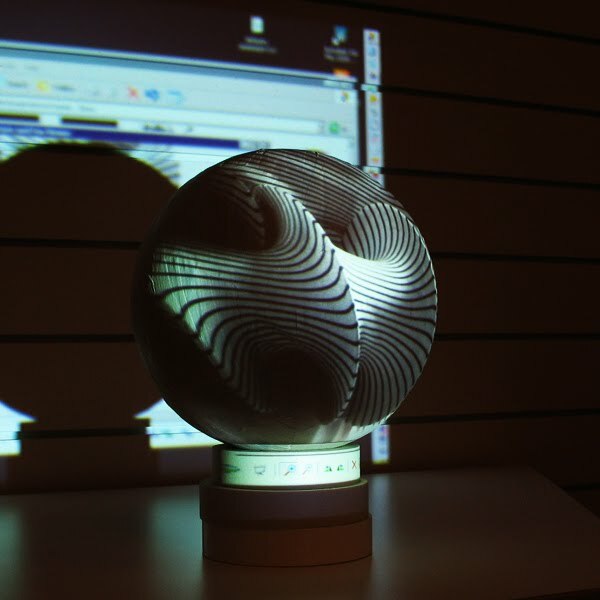 The design that will jump out form thousands of already created designs. 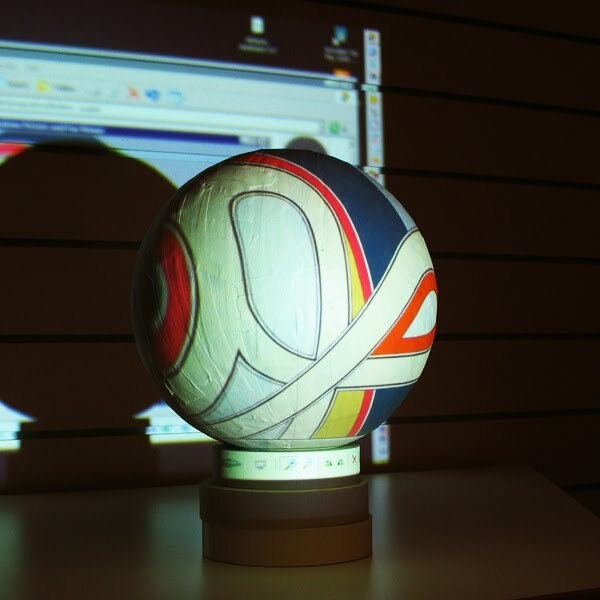 For inspiration i have used projector and simple graphic images. That tools gave me hundreds of inspiration images in very short period. After that i have moved to hand drawing to organize the best ides on paper. 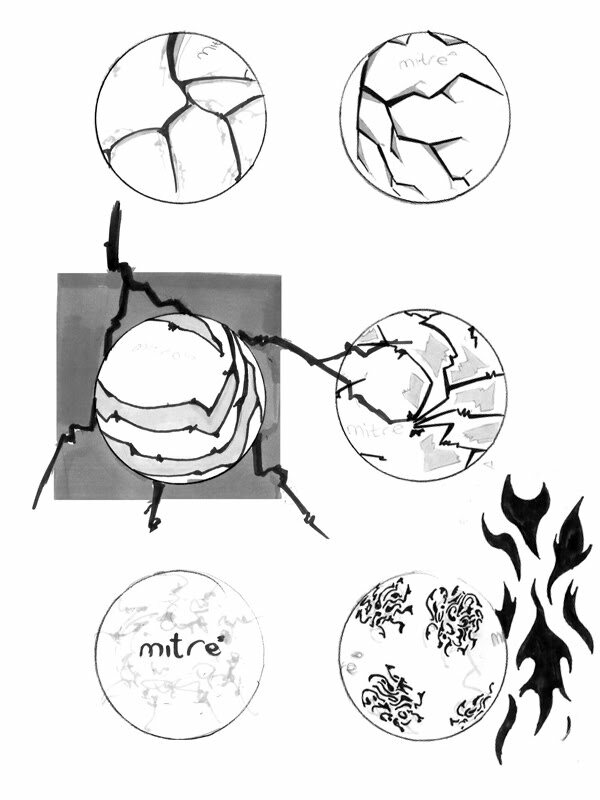 Here appearing only small part of sketches that i have presented to Mitre. 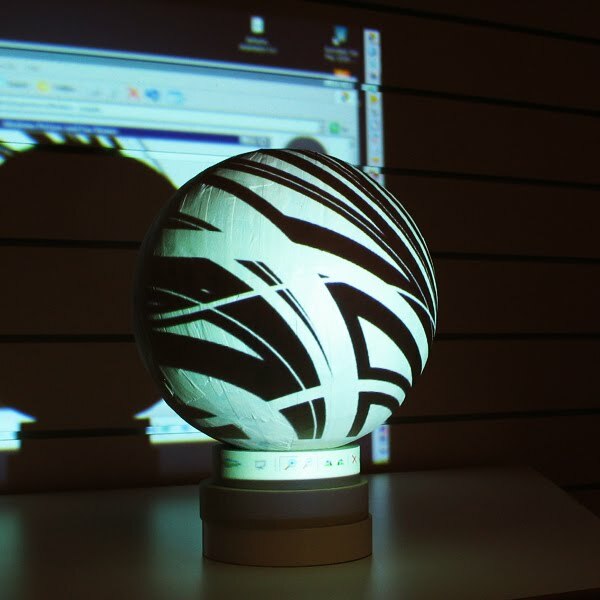 Six concepts or better to say themes was selected for further development. 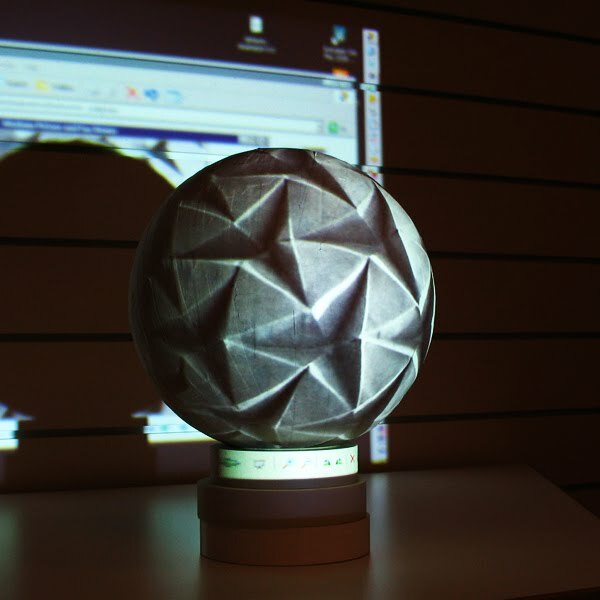 3D modeling and prototyping. 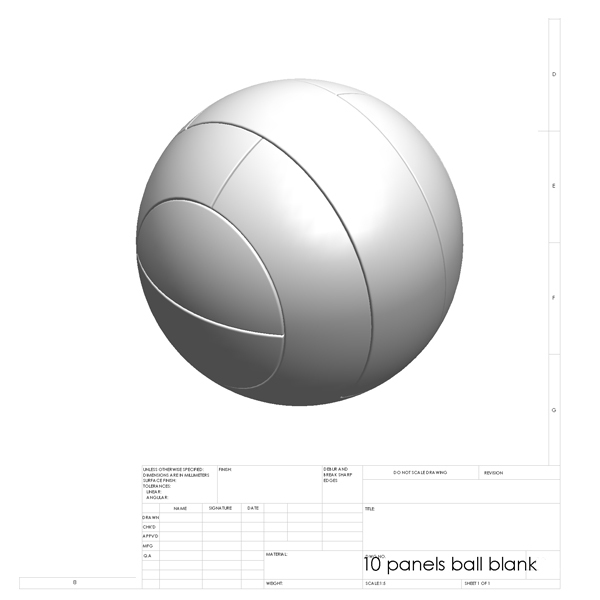 I have built in Solid Works 3 blank balls of needed layouts. 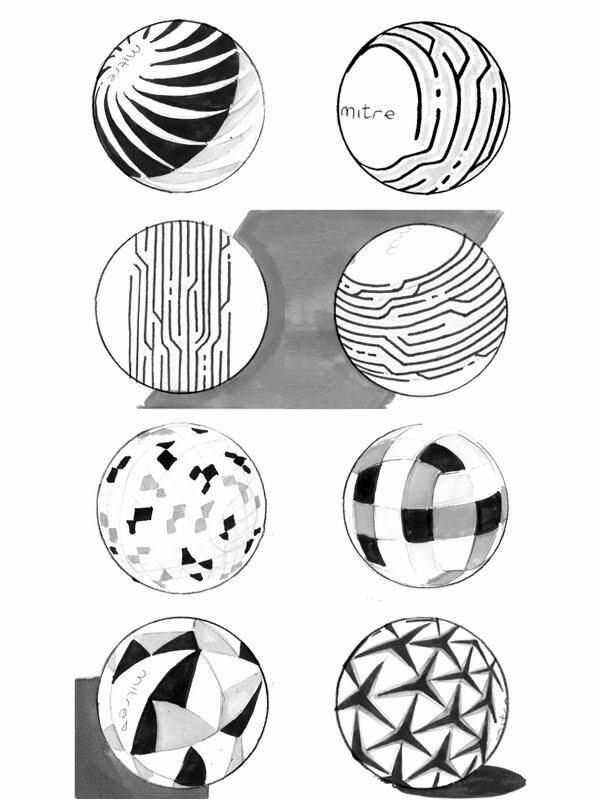 The 26 patch ball was most difficult one to 3D realization. 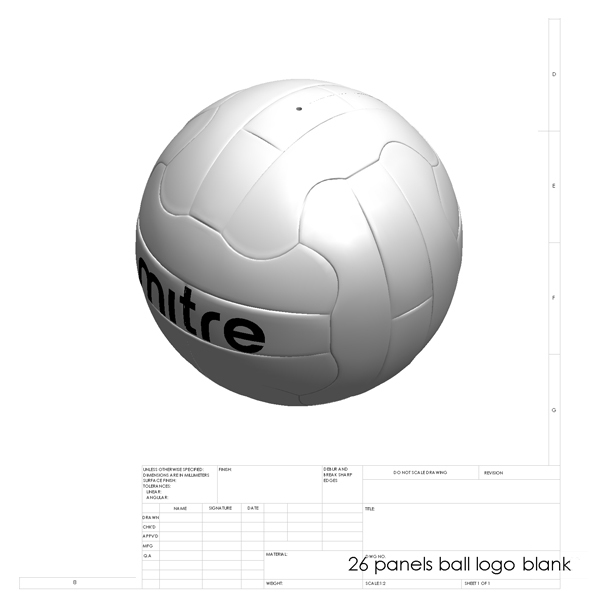 Mitre and Mitre logos are registered trade marks of Mitre Spotrs International Ltd.